Whether it’s to ask a question or to lodge a complaint, today’s consumers are increasingly turning to social media—especially Facebook—for customer service. 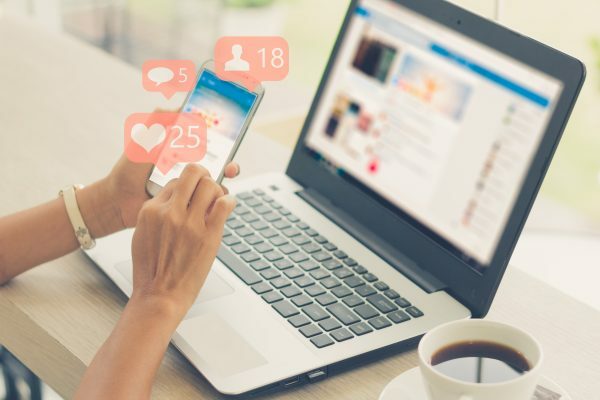 In fact, Hootsuite estimates that 1 in 4 customers now locate your company’s Facebook page before visiting your website, and notes that a brand’s social media presence now plays an increasingly vital role in a consumer’s decision-making process. Become a Facebook Messenger master. When it comes to interacting with audiences on social media, Facebook Messenger’s one-on-one interface simply can’t be beat. 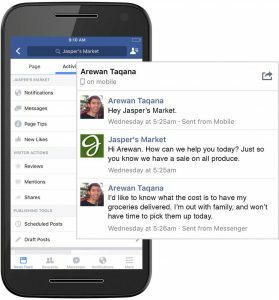 Messenger helps you answer customers’ questions as well as hear their opinions and concerns, all in a private chat window with tools specifically designed to help you develop lasting relationships with your audience. To become a stellar Facebook community manager, it’s a good idea to start by becoming well-versed in all of the features and tools offered by Messenger. For example, you can customize your own welcome greeting that will automatically appear every time a customer messages your page for the first time. Also experiment with the “Saved Replies” feature, which allows you to write and easily re-use messages to help you respond to common questions like your company’s hours, email, and phone number. Find more tips for mastering the basics of Facebook Messenger here. Interacting with customers on social media is no different than interacting with them in real life. Just as you wouldn’t want your customers standing in a customer service line for hours, you also shouldn’t make them wait to receive the help they need when they turn to your Facebook page for answers. As a community manager, you should make every effort to respond to customers as quickly as possible. Consider downloading the Facebook Pages Manager app to your phone so that you can get notifications whenever someone messages your page in real-time. 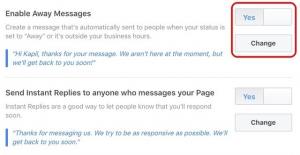 Similarly, if you know that you are going to be unable to respond for some time, turn on the “Away Messages” feature in Messenger so that fans will receive an automatically generated message that you will respond soon. No matter what kind of Facebook page you manage, it is practically inevitable that a customer will use it to lodge a complaint or raise some other issue with your brand or business. Simply put, being able to respond to these issues in an authentic way is what separates a standard community manager from an exceptional one. When someone complains about your brand or business, you should never attempt to delete or hide the complaint (unless it uses vulgar language or is deemed offensive in some other way). 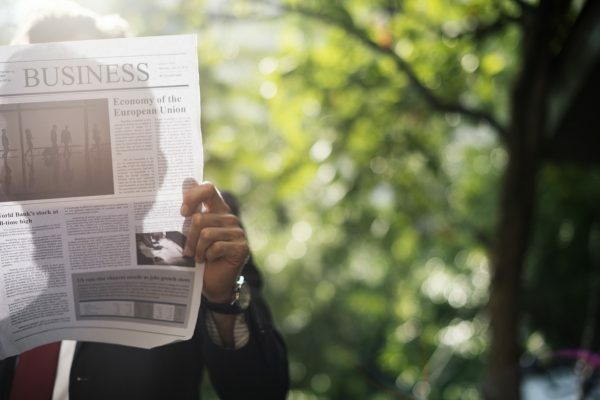 Instead, be transparent and use the complaint as an opportunity to demonstrate that your company cares about its customers by doing everything they can to resolve their issues. Many times, hearing “I’m sorry” is all that your customers are looking for when they turn to social media to complain. For community managers who may spend their entire day behind a screen responding to customer questions, comments, and complaints, it can be all too easy to overlook (or entirely forget) the human interactions at the heart of every great customer service experience. To that extent, it’s extremely important to remember the “social” part of social media; the one-on-one, personal connections are the reason social media has become as popular and pervasive as it is today. Sometimes, “being human” in your customer service interactions can be as simple as signing your name (not your business name) every time you respond to a question or comment; in fact, Facebook for Business even recognizes this as a “best practice” that helps to personalize communication and help your brand stand out. Similarly, another tremendous benefit of social media is that it allows you to build long-term relationships with the fans who follow your brand or business on Facebook. As a community manager, you can leverage this loyalty by hosting special deals, promotions, and giveaways on your page that will both attract new followers and delight your current fans. Even smaller businesses and brands can build a strong, loyal following just by occasionally surprising its fans. 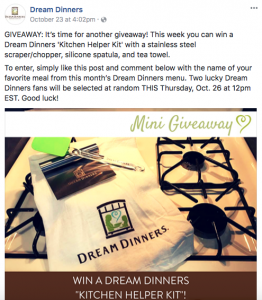 If you are the community manager for a restaurant’s Facebook page, for example, consider offering a special discount just for followers who show a specific post when they order. If you have extra items with your brand’s logo on it (think t-shirts, hats, etc. ), consider hosting a mini-giveaway on your page and give them away to one random user who comments on the post. When it comes to delighting your fans, sometimes a little goes a long way toward improving the customer experience and keeping them coming back to your page for more. Scooter Media is your resource for navigating the ins and outs of the always-changing world of social media. Looking for more social media tips? Check out our guide to scheduling your social media posts, and be sure to check back frequently for new installments of our “What’s Moving on Social Media” series.